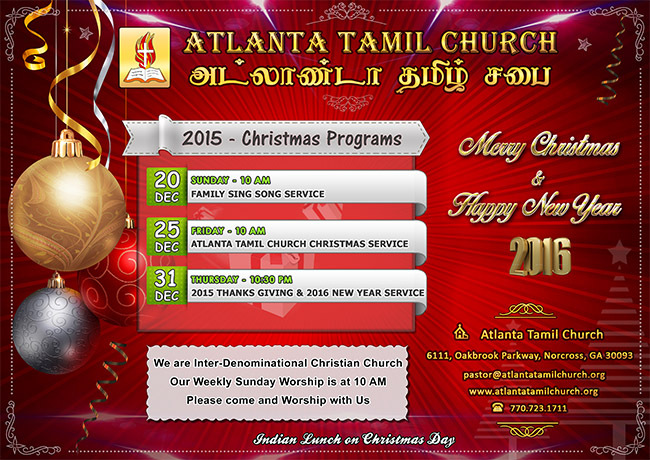 Atlanta Tamil Church - 2015 Christmas Events. Dec 31 - 10:30pm: WatchNight & New Year Service. Venue: Atlanta Tamil Church - 6111 Oakbrook Pwky, Norcross, GA 30093.